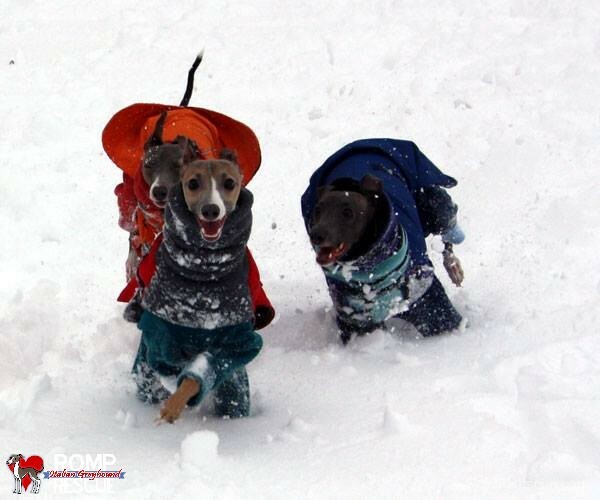 When Shopping for Italian Greyhounds, we highly recommend these IG breed specific companies for your coat, jammies, boots, collars, harnesses, martingales, costumes, shirts, bellybands, snoods and other needs! Make sure the items you buy fit that sighthound body with a big chest, skinny waists, skinny necks and long legs – these companies all have extensive IG experience and we love their products! This entry was posted in About IGs, ALL and tagged bellybands, clothing, collars, itaian greyhounds, jammies, leash, martinagle leash, martingale, shopping for italian greyhounds. Bookmark the permalink.